Be wary of the desperate kamikaze, they are, after all, completely with disregard and reckless abandon. With the real life kamikazes, their opponents were at first completely taken aback at even the thought of a completely suicidal, 100% all-in attack. They were, therefore, unpredictable, came in at odd angles and never had a predictable fallback or rally point because there was none. Japan never wanted to use the kamikazes; they knew they would be tactically inefficient, losing so many volunteer officers and their machines, with just one attack. Very few hit their target and those that did, creating mostly minimal damage. The hope was to create so much fear in their targets and more strategically, in their entire opposing forces and civilians supporting them. AND, although low percentage, perhaps even make a solid, effective strike. The horror in allied soldiers diminished greatly, and defenses exponentially improved, however, once they knew simply that they WERE kamikazes!I This totally removed other possible alternatives for attack as the defenders learned that they had only one objective. It was much easier to defend something that was so certain than it was to defend everything! Grapplers have the same dilemma. How to recognize a kamikaze? He’s usually the guy, getting positionally dominated, drastically down on points, desperate to turn the tide. Also, the new guy that simply thinks he has no other options. 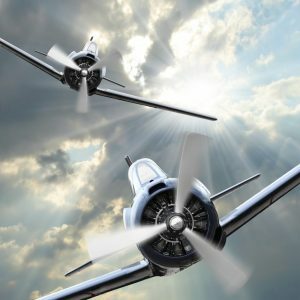 Under kamikaze attack, your best defense is to stay alerted and weather the storm. Should I kamikaze myself? Kamikaze attacks are exciting and SHOULD be employed in your training; you WILL need them. But remember, kamikazes are tactics of the desperate. It’s much more effective in the big picture to develop the rest of your game, to make your OPPONENT rely on desperate, much more easily defended kamikaze attacks. The magic of the game is manipulating it to put your opponent into a situation where, at best, he has enough time space, and awareness to employ his last-ditch, easily defended, desperate kamikaze attacks himself.